The 1928 United States House of Representatives elections was an election for the United States House of Representatives in 1928 which coincided with the election of President Herbert Hoover. 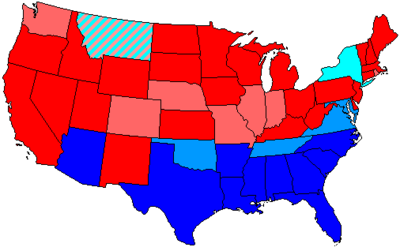 The strength of the U.S. economy resulted in Hoover's Republican Party victory in the election, helping them to scoop up 32 House seats, almost all from the opposition Democratic Party, thus increasing their majority. The big business-supported wing of the Republican Party continued to cement control. Republican gains proved even larger than anticipated during this election cycle, as an internal party feud over the Prohibition issue weakened Democratic standing. Losses of several rural, Protestant Democratic seats can be somewhat linked to anti-Catholic sentiments directed toward the party's presidential candidate, Al Smith. In these special elections, the winner was seated during 1928 or before March 4, 1929; ordered by election date, then by district. Iowa 9 William R. Green Republican 1910 (Special) Incumbent resigned March 31, 1928, after being appointed to the United States Court of Claims. New member elected June 4, 1928. Alabama 5 William B. Bowling Democratic 1920 Incumbent resigned August 16, 1928, after being appointed judge of the 5th Judicial Circuit of Alabama. New member elected November 6, 1928. Massachusetts 12 James A. Gallivan Democratic 1914 Incumbent died April 3, 1928. Massachusetts 14 Louis A. Frothingham Republican 1920 Incumbent died August 23, 1928. New York 32 Thaddeus C. Sweet Republican 1923 (Special) Incumbent died May 1, 1928. Oregon 2 Nicholas J. Sinnott Republican 1912 Incumbent resigned May 31, 1928, after being appointed to the United States Court of Claims. Pennsylvania 8 Thomas S. Butler Republican 1896 Incumbent died May 26, 1928. Alabama 5 William B. Bowling Democratic 1920 Incumbent resigned August 16, 1928, to become judge of the 5th Judicial Circuit of Alabama. Arkansas 3 John N. Tillman Democratic 1914 Incumbent retired. Arkansas 6 James B. Reed Democratic 1923 (Special) Incumbent lost renomination. Colorado 1 S. Harrison White Democratic 1927 (Special) Incumbent lost re-election. Florida 4 William J. Sears Democratic 1914 Incumbent lost renomination. Illinois 1 Martin B. Madden Republican 1904 Incumbent died April 27, 1928. Illinois 21 J. Earl Major Democratic 1926 Incumbent lost re-election. Illinois at-large Henry Riggs Rathbone Republican 1922 Incumbent died July 15, 1928. Indiana 3 Frank Gardner Democratic 1922 Incumbent lost re-election. Indiana 7 Ralph E. Updike Republican 1924 Incumbent lost re-election. Iowa 9 Earl W. Vincent Republican 1928 (Special) Incumbent lost renomination. Iowa 11 William D. Boies Republican 1918 Incumbent retired. Kansas 1 Daniel R. Anthony, Jr. Republican 1906 Incumbent retired. Kansas 6 Hays B. White Republican 1918 Incumbent retired. Kentucky 3 John William Moore Democratic 1925 (Special) Incumbent lost re-election. Kentucky 4 Henry D. Moorman Democratic 1926 Incumbent lost re-election. Kentucky 6 Orie Solomon Ware Democratic 1926 Incumbent retired. Kentucky 7 Virgil Chapman Democratic 1924 Incumbent lost re-election. Kentucky 8 Ralph Waldo Emerson Gilbert Democratic 1920 Incumbent lost re-election. Kentucky 9 Fred M. Vinson Democratic 1924 Incumbent lost re-election. Maine 4 Ira G. Hersey Republican 1916 Incumbent lost renomination. Maryland 2 William P. Cole, Jr. Democratic 1926 Incumbent lost re-election. Massachusetts 2 Henry L. Bowles Republican 1925 (Special) Incumbent retired. Minnesota 1 Allen J. Furlow Republican 1924 Incumbent lost renomination. Minnesota 8 William L. Carss Farmer-Labor 1924 Incumbent lost re-election. Mississippi 2 Bill G. Lowrey Democratic 1920 Incumbent lost renomination. Missouri 5 George H. Combs, Jr. Democratic 1926 Incumbent lost re-election. Missouri 6 Clement C. Dickinson Democratic 1922 Incumbent lost re-election. Missouri 13 Clyde Williams Democratic 1926 Incumbent lost re-election. Missouri 14 James F. Fulbright Democratic 1926 Incumbent lost re-election. Missouri 16 Thomas L. Rubey Democratic 1922 Incumbent died November 2, 1928. Nebraska 4 John N. Norton Democratic 1926 Incumbent lost re-election. Nebraska 5 Ashton C. Shallenberger Democratic 1922 Incumbent lost re-election. New Jersey 8 Paul J. Moore Democratic 1926 Incumbent lost re-election. New Mexico at-large John Morrow Democratic 1922 Incumbent lost re-election. New York 2 John J. Kindred Democratic 1920 Incumbent retired. New York 17 William W. Cohen Democratic 1926 Incumbent retired. New York 38 Meyer Jacobstein Democratic 1922 Incumbent retired. New York 41 Clarence MacGregor Republican 1918 Incumbent retired to New York Supreme Court justice. North Carolina 6 Homer L. Lyon Democratic 1920 Incumbent retired. North Carolina 9 Alfred L. Bulwinkle Democratic 1920 Incumbent lost re-election. North Carolina 10 Zebulon Weaver Democratic 1916 Incumbent lost re-election. Ohio 2 Charles Tatgenhorst, Jr. Republican 1927 (Special) Incumbent retired. Ohio 4 William T. Fitzgerald Republican 1924 Incumbent retired. Ohio 8 Thomas B. Fletcher Democratic 1924 Incumbent lost re-election. Ohio 13 James T. Begg Republican 1918 Incumbent retired. Ohio 14 Martin L. Davey Democratic 1922 Incumbent retired to run for U.S. Senate. Ohio 16 John McSweeney Democratic 1922 Incumbent lost re-election. Ohio 22 Theodore E. Burton Republican 1920 Incumbent retired to run for U.S. Senate. Oklahoma 1 Everette B. Howard Democratic 1926 Incumbent lost re-election. Oklahoma 5 Fletcher B. Swank Democratic 1920 Incumbent lost re-election. Pennsylvania 13 Cyrus Maffet Palmer Republican 1926 Incumbent lost renomination. Pennsylvania 14 Robert Grey Bushong Republican 1926 Incumbent retired. Pennsylvania 30 Everett Kent Democratic 1926 Incumbent lost re-election. Pennsylvania 34 John M. Morin Republican 1912 Incumbent lost renomination. Rhode Island 3 Louis Monast Republican 1926 Incumbent lost re-election. Tennessee 9 Finis J. Garrett Democratic 1904 Incumbent retired to run for U.S. Senate. Texas 1 Eugene Black Democratic 1914 Incumbent lost renomination. Texas 11 Tom Connally Democratic 1916 Incumbent retired to run for U.S. Senate. Texas 14 Harry M. Wurzbach Republican 1920 Incumbent lost re-election. Texas 17 Thomas L. Blanton Democratic 1916 Incumbent retired to run for U.S. Senate. Virginia 2 Joseph T. Deal Democratic 1920 Incumbent lost re-election. Virginia 7 Thomas W. Harrison Democratic 1916 Incumbent lost re-election. Virginia 9 George C. Peery Democratic 1922 Incumbent retired. West Virginia 3 William S. O'Brien Democratic 1926 Incumbent lost re-election. West Virginia 5 James F. Strother Republican 1924 Incumbent retired. West Virginia 6 Edward T. England Republican 1926 Incumbent lost re-election. Wisconsin 5 Victor L. Berger Socialist 1922 Incumbent lost re-election. Wisconsin 7 Joseph D. Beck Republican 1920 Incumbent retired to run for U.S. Senate. Wyoming at-large Charles E. Winter Republican 1922 Incumbent retired to run for U.S. Senate. This page was last edited on 28 December 2018, at 10:12 (UTC).